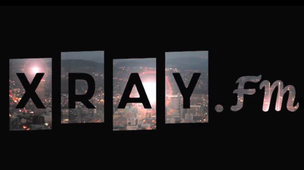 XRAY.fm, a new left-wing radio station in Portland, plans to launch on Saturday, March 15th. Portland taxpayers may not know it, but the launch wouldn’t have happened without their generosity. The station’s backers highlight the support they got from a Kickstarter campaign that generated $103,762 in pledges. What they don’t highlight is how the station got its start by hijacking what was supposed to be “a locally-focused music and arts-information radio station” with start-up funding from a taxpayer-funded program of the Regional Arts & Culture Council (RACC). Until recently, RACC, which says its grants “provide artists and arts organizations with financial support,” had an Opportunity Grant Program funded by the City of Portland. It was designed to provide grants to Portland-based nonprofit arts and cultural organizations to help meet special opportunities or assist organizations with emergencies that arise during the year. Phil Busse, director of the Portland-based Media Institute for Social Change and former managing editor of the Portland Mercury, submitted an Opportunity Grant application to RACC in 2012. The application said Busse wanted $10,000 to facilitate “a locally-focused music and arts-information radio station that will be broadcast throughout Portland starting in January 2013.” There was no mention of any plans for the station to focus on left-wing talk shows. The $10,000 was to go towards the purchase an FCC license. “The additional license the RACC grant would fund would allow sufficient coverage on Portland’s west side to truly create a city-wide station,” the Institute’s grant application stated. Then the music and arts-information radio station got hijacked. XRAY.FM will embrace the “mullet model”, as the station’s Facebook page once put it, “business in the front, party in the back.” Programs would focus on progressive talk during the day and relegate music to the night. Jefferson Smith, co-founder of the Oregon Bus Project and a onetime Democratic legislator, has also signed on as senior advisor on board development and community engagement and will be offering a show, Thank You Democracy. RACC says its OK with the station’s shift to progressive talk. “We are satisfied that XRAY.FM is delivering strong local music programming and content as described in their grant proposal to us,” Jeff Hawthorne, RACC’s Director of Community Affairs, wrote in an e-mail to me. “It appears that the applicant is fulfilling its artistic mission as described (by the Cascade Educational Broadcast Service). Whether the station also delivers other types of content wouldn’t preclude our investment in arts programming. This entry was tagged Adam Klugman, BlueOregon, Carl Wolfson, KPOJ, Media Institute for Social Change, Portland, progressive, RACC, radio, Regional Arts & Culture Council, Thom Hartmann, XRAY-FM. Bookmark the permalink.